I was recently asked why I scrapbook and without hesitation my response was "Because tomorrow is never promised and furthermore our memories can lie." My husband often criticizes me for being too blunt, but sometimes that's the best way to get things across to people. Think about it for a second... in death people often look back at old photographs to help their memory recall their favorite times. Why not get creative, relieve stress, and have fun all while preserving those precious memories, especially since one day that is all that will remain. 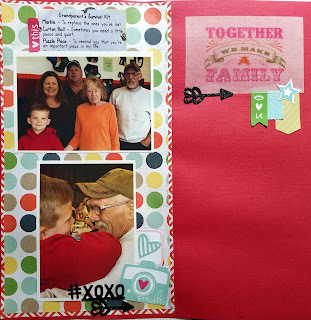 Well now that I have set the mood, please forgive me I did not mean to start off so dark - just trying to get the importance out there, I want to show you a scrapbook layout that has a special meaning to me. 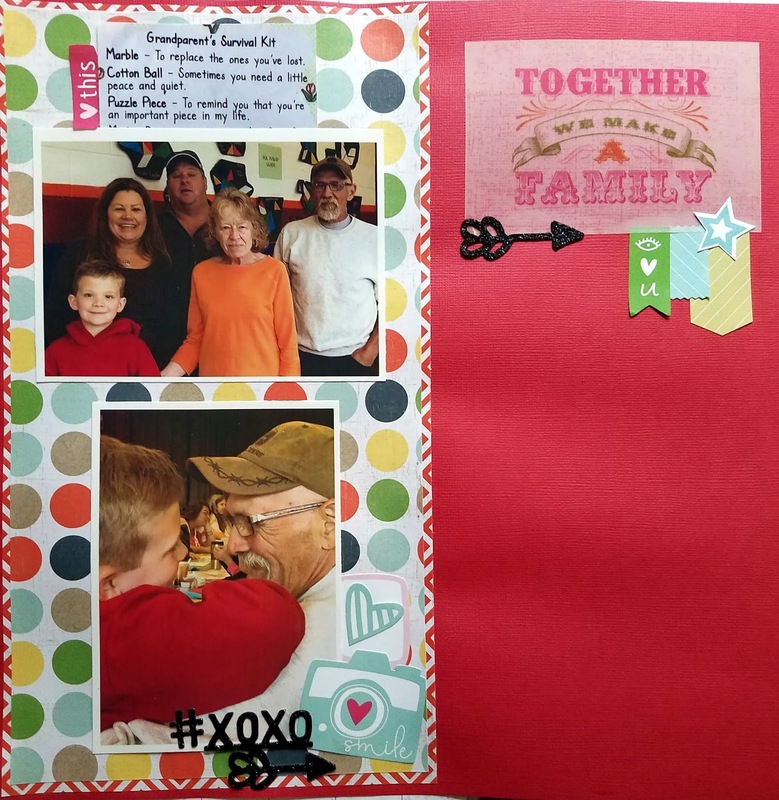 Recently, my son's school hosted a grandparent's breakfast where all of the kids got to invite their grandparents to come and eat breakfast with them and to furthermore see what the children have been up to as far as school goes. My son, being the lucky kid he is, ended up getting both my parents and my husbands parents to come with him. This was very special to everyone who was involved because moments like this are limited, making it even more important for me to capture it and cherish it the correct way so I can make sure to preserve it for years and decades to come. 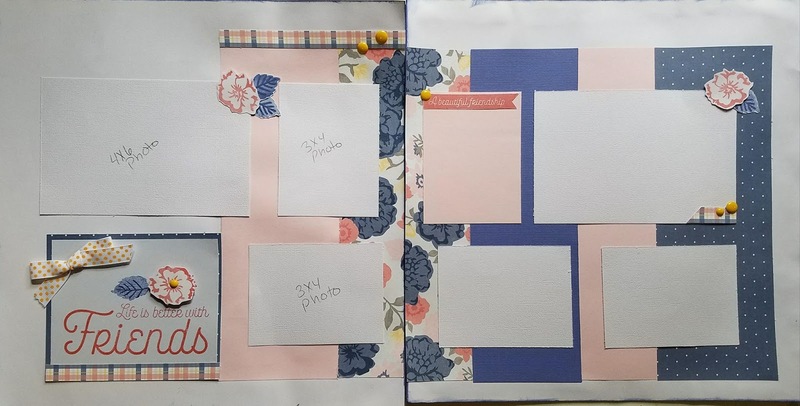 There are plenty of reasons to scrapbook, whether you are using it as a creative outlet, preserving memories, or maybe you even head out to crops to get some much needed "me/mom" socializing in. Whatever you reason is, please make sure to continue to make it a point to cherish these memories. Also remember your pages do not have to be masterpieces, they just have to be from your heart. I recently took part in two kit swaps, as part of our swapping group on facebook. Now if you are not familiar with these, they are quickly becoming my favorite type of swap, I highly recommend you looking into one. I tell you this because not only are they fun but they are also how I came up with both of today's projects. 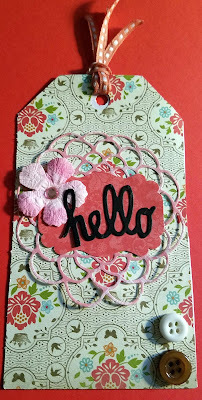 Now for the first one I decided to adhere everything onto the tag and then I went ahead an added a black "Hello" die cut to it to give it a "purpose." I had a tough time deciding which side of the paper I wanted to use since they are both so lovely. The white floral was one side and that pink was the other. Then onto this one which is one of my favorites because it carries a very elegant feel. 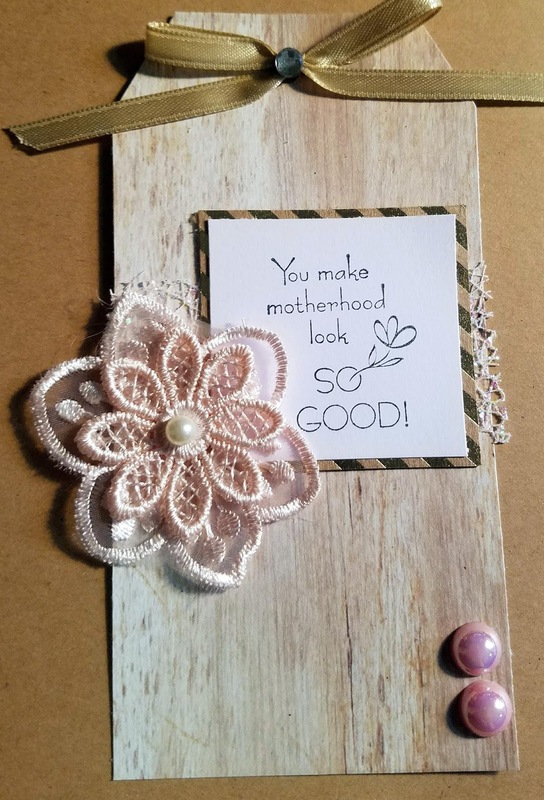 The "Creator" paired together beautiful gold and blush colors and even included that lovely wood grain paper and the sentiment, which is lovely!! 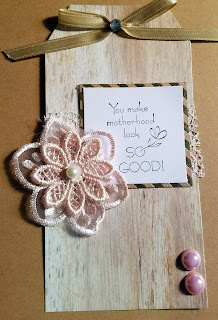 For this tag I simply layered the sentiment onto some gold embossed paper to give it a little more focus. Thanks for stopping by today. 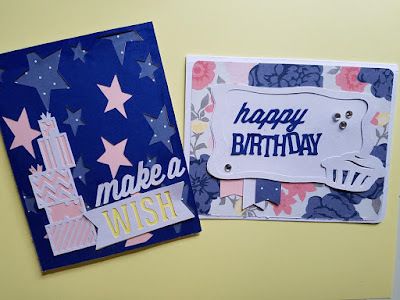 If you are interested in joining us for some swapping fun you can find the facebook group here, or simply search there are plenty of craft swaps groups out there. 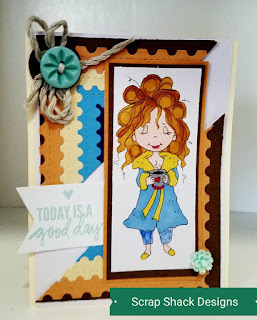 Today I have another really fun and fabulous card to show you. 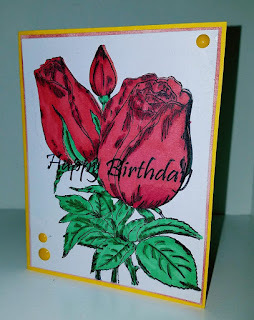 This card follows suit with our Just For Fun monthly Challenge which is to use two or more stamps on your card, however unlike my previous ones, this one uses the stamps as the focal point. This card is fairly simple and using a technique I learned from Jennifer McGuire related to 3-D stacking. 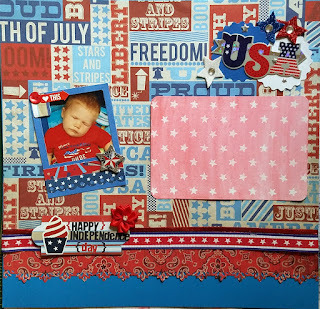 To start off this card I stamped the American Beauties stamp from Just For Fun onto some white cardstock. I then colored in my image using alcohol markers. Once my image was colored I went ahead and stamped Happy Birthday on top of the already colored image. Now to take this card a step further I went around the bulbs of the American Beauties stamp and fussy sliced (using my exacto) just the bulbs up. This created a raised image center and of course that partial raised sentiment. To finish off the card I trimmed the white cardstock down and layered it onto a canary colored piece. I then took some matching dots and accessorized. Thanks so much for checking out my newest project. If you were inspired to play in our monthly challenge make sure to head on over to Just For Fun and join us. We recently informed all of our friends and family that we were expecting our third and final baby and of course with that came a great opportunity for a family selfie-photo shoot. 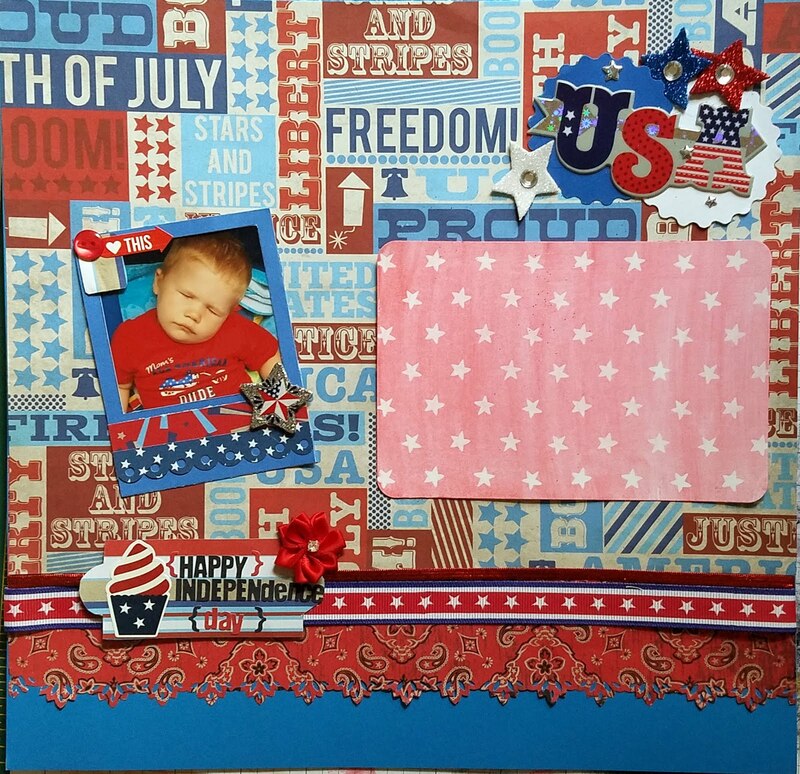 For this layout I used variety of cards and embellishments from my stash. My main focus was to get some gold and red pairings, even though these colors are not typically found together. I also focused a lot on hearts for my shape. I think that finding repeating elements can help any layout come together better and simply helps the eyes focus more. For all of these pocket cards I took the base card and then added extra embellishments to them. Then of course I left one open to add my story to. For May I have decided to not only offer a card class but to also offer a double page layout class and I couldn't be more excited to showcase both of these classes to you. So first up is the card class, which features two cards created using the "Beautiful Friendship" paper line from CTMH. These cards, as with most of my classes, are very generic and excellent to add to your stash. 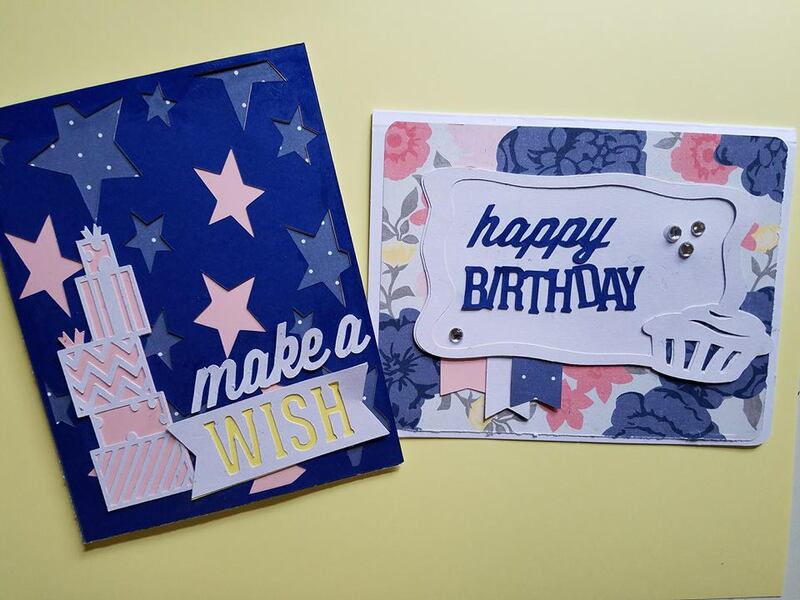 I created the cards using the "Beautiful Friendship" paper line along with the "Art-booking" cricut cartridge. This kit will be offered for $15 (including shipping to the lower 48) and will include all of the material (pre-cut) as well as the card bases and envelopes. I will also include step by step instructions on how to assemble these cards. 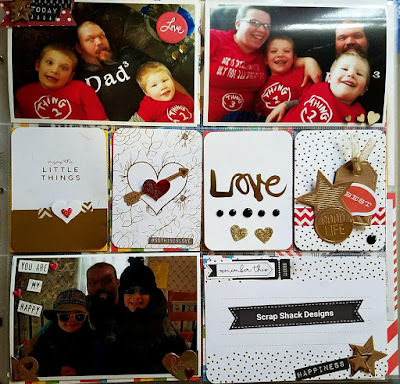 Now if you are more of a scrapbooker then have no worries because I have you covered also. This double page layout also uses the "Beautiful Friendship" line along with the coordinating scrapbooking stamp set. 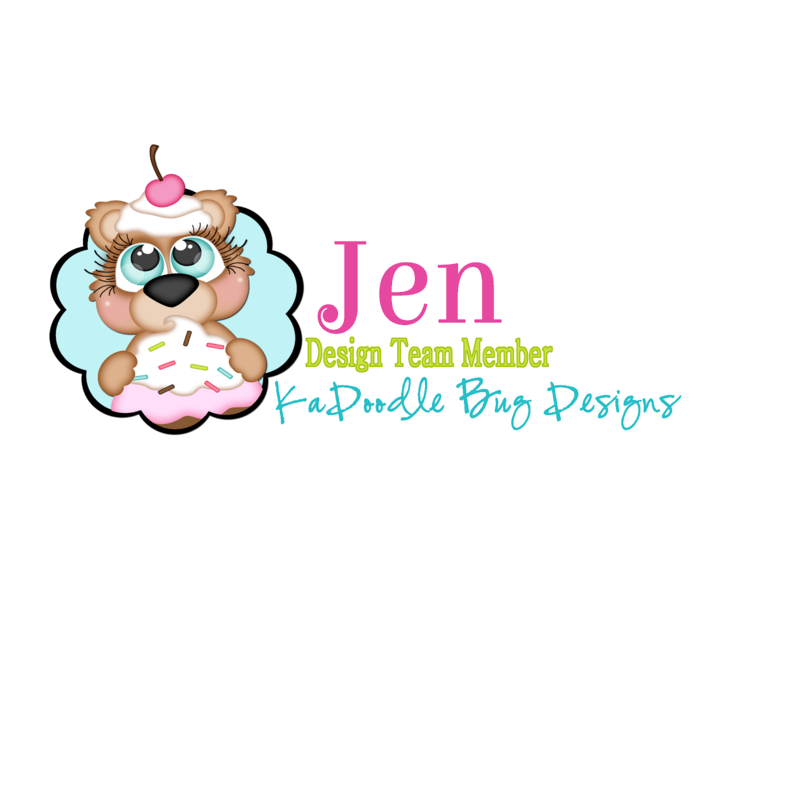 All images for this layout will be pre-stamped and pre-cut so you simply adhere and continue on with your day. This will also be a $15 class and will include all of the material, aside from the base paper. This allows you to easily adjust the layout to match your album size. This kit will also come with step by step instructions. Now as a special thank you I will be discounting anyone who purchases both classes, so if you love this line make sure to sign up for both. Thanks for stopping by today and I hope to see you for the class.